more than 30 countries each year. We offer a variety of programs: Academic and General English, Short Term Intensive English, Canadian Workplace Experience, ESL Teacher Certificate, and Customized Programs. We are accredited by Languages Canada, as well as being an authorized CanTEST (Canadian Test of English for Scholars and Trainees) test centre, and an IELTS test venue. 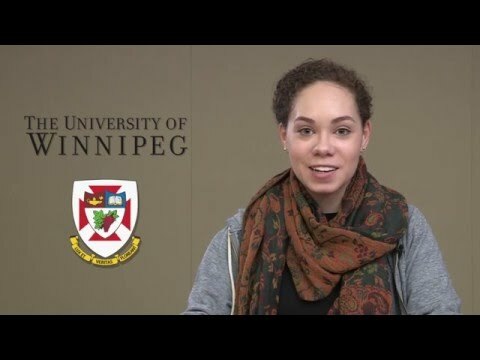 The University of Winnipeg offers a wide variety of educational opportunities. Students can attend high school at our Collegiate, enroll in over 50 undergraduate programs or one of 14 graduate programs, and enhance their employment skills with post-graduate certificates and diplomas with our Professional, Applied, and Continuing Education programs. Our dynamic downtown campus connects people from diverse cultures and nurtures global citizens. We consistently rank highly in national surveys for overall reputation, small class sizes, academic excellence and commitment to the environment. Winnipeg is located in the heart of Canada and is known for its vibrant artistic and festival scenes. With more than half of Manitoba’s population, Winnipeg is home to ethnic groups from all over the globe—more than 100 languages are spoken. Here you can experience all four distinct seasons while exploring all that the Manitoba outdoors has to offer: scenic lakes and rivers, vast landscapes, and wildlife. This program prepares you to enter Canadian universities, colleges, and high schools, and targets all four language areas: reading, writing, listening, and speaking. Students will improve their ability to read academic materials, write essays, take notes, listen to lectures, and give presentations - skills they will need to be successful in a Canadian university.